Improve your plein air painting skills through concentrated time in the field. Solidify painting principles and techniques, and develop visual editing skills as you push the boundaries of your skills. Review fundamentals and learn to have fun with the challenges of landscape painting. 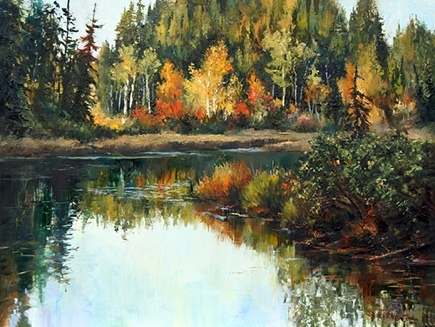 You are invited to work with acrylic or oil paint in an environment that encourages individual freedom and expression. Be prepared to work outdoors and note that some locations may require walking and transporting painting equipment. Please note: This course is not suitable for beginners. Plein air experience is required.